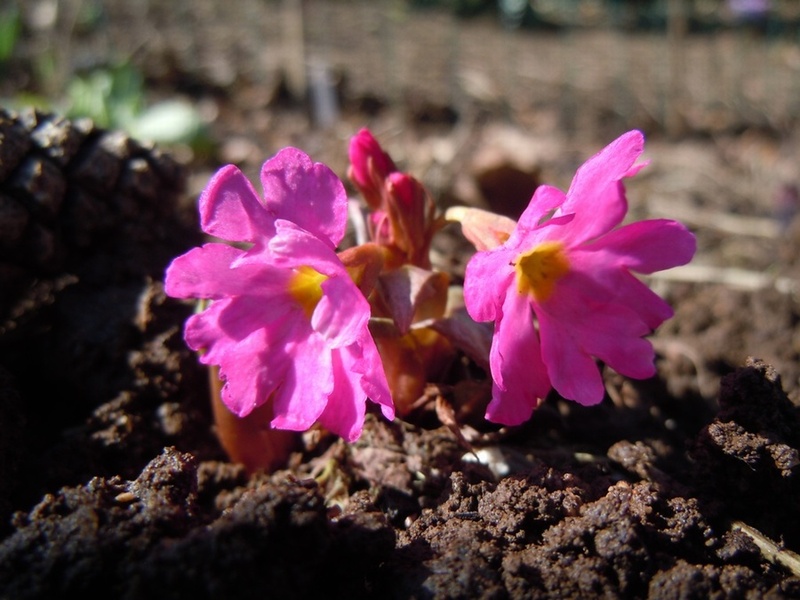 An early flowering Primula having clusters of vivid pink flowers in March on short stems above rosettes of oval leaves, height 20cm. Needs a sunny or lightly shaded not too dry position. Does well in damp, moist sites.